Fashion meets Philanthropy. World Vision is an Organization that helps children, families and communities in need. The 2015 World Vision Gift Catalog contains more than 250 poverty-fighting gifts, prices starting from $16 and up, which will help improve the quality of life for struggling children and families in the U.S. and around the world. 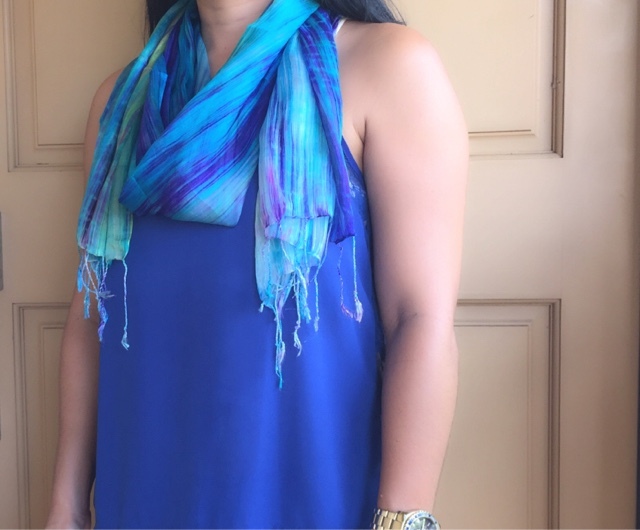 I received this beautiful Royal Silk Scarf. 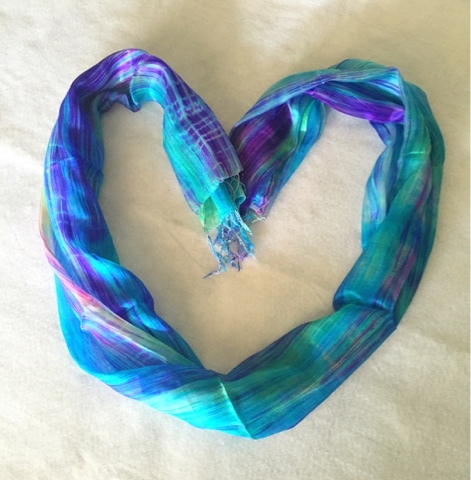 The colors are gorgeous, it is so soft and light and easy to wear. The luxurious silk is woven by Vietnam's Ma Chau villagers, who receive sustainable income through their craft. 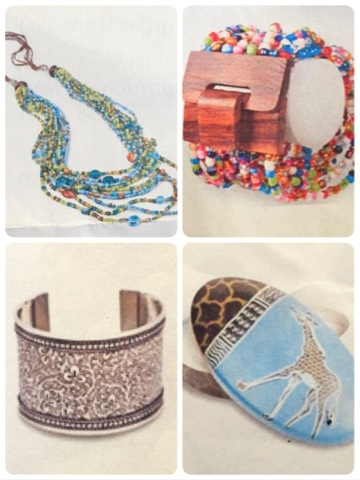 Besides the Royal Silk Scarf, they also sell a Balinese Multi-Strand Necklace (handmade by Balinese artisans to help children in Bali receive an education), a Mango Wood Beaded Bracelet (created by a community on the island of Java), Silver Vines Cuff (designed by artisans in Old Delhi, India) and an African Soapstone Box (handmade gift etched by talented artisans in Kenya). The money raised from the hand-crafted gifts goes to the Where Most Needed Fund, which supports a variety of World Vision's programs around the world. 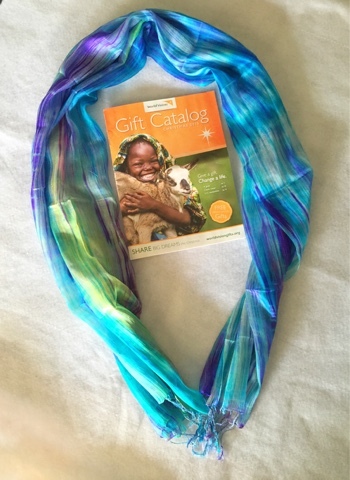 The World Vision Gift Catalog is a great gift-giving alternative. It will help those in need, especially with the holidays coming up.